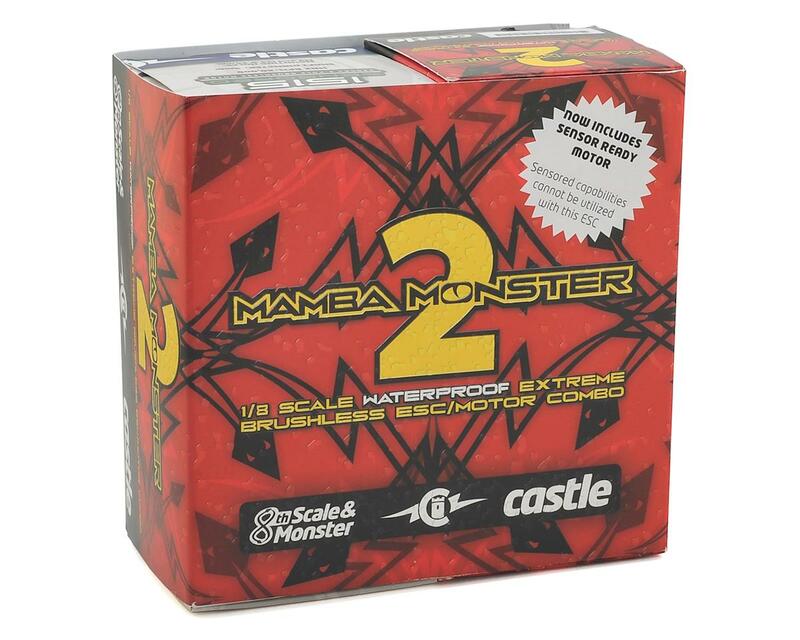 This Castle Mamba Monster 2 Waterproof 1/8 Scale Brushless Combo includes the sensored 1515 2200Kv motor and is recommended for large 1/8 scale trucks and buggies weighing less than 15 pounds ready-to-run with batteries. 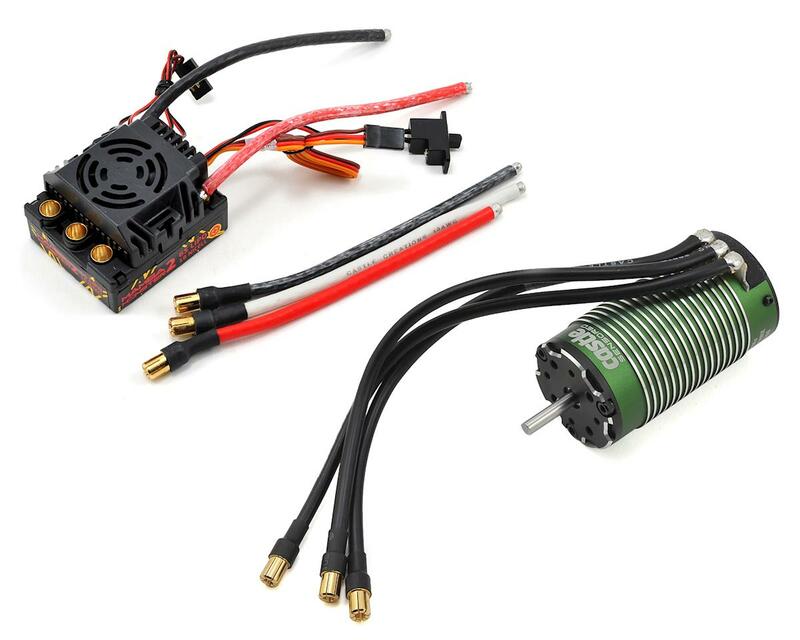 The Mamba Monster 2 is an incredibly powerful sensorless ESC capable of 2S to 6S LiPo operation. It's also waterproof*, so you can run your vehicle across the morning dew, through soggy snow, or just about anywhere else you’d be interested in running a 1:8 scale RC buggy or truck. It features an easy-access case allowing you to replace fans quickly, if necessary. 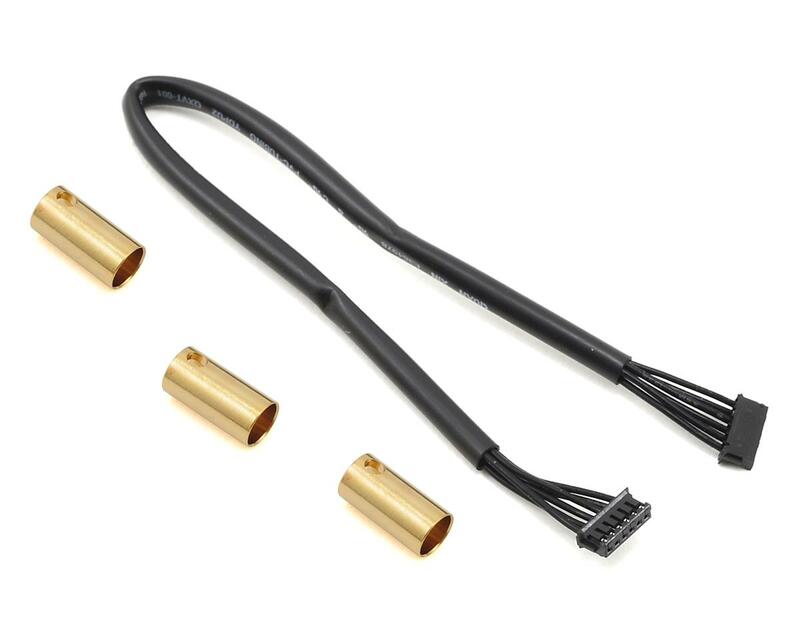 Additionally, Mamba Monster 2 features solder posts, so changing battery wire length and direction is simple for an even more custom install. The cooling fan must be removed prior to driving in wet conditions. It is not waterproof. Application Guidelines: Intended for up to 6S (25.2 Volt) operation in vehicles weighing less than 15 lbs, with batteries, ready-to-run. Max. Recommended Vehicle Weight: Less than 15 lbs, with batteries, ready-to-run with 2200kv motor; no more than 9 lbs with 2650kv motor. 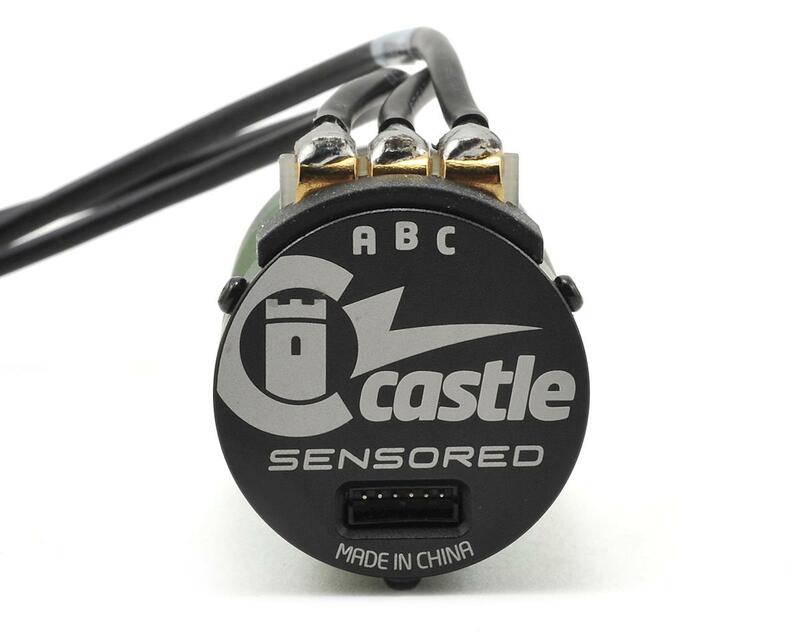 Programmability: Fully programmable Castle feature set using Castle Link USB adapter (coupon for free Link included) and freely downloadable Castle Link Windows software. NOTE: Not all LiPos are created equal, and surge ratings should never be used to determine a pack’s suitability for a brushless application. Use the CONTINUOUS C rating only. Mamba Monster setups frequently hit 100+ amps in peaks. Castle strongly suggest using 5,000 mAh or larger LiPo cells with a discharge rating of at least 30C (or high quality 25C batteries such as Traxxas® Power Cells®). Use only mild gear ratios with NiMH cells. Do not attempt to use NiMH cells in extreme setups.